"Shovel Lake, Aitkin County, Minnesota"
Shovel Lake existed from 1910 until 1952 as a Soo Line Railroad Station and a US Post Office. 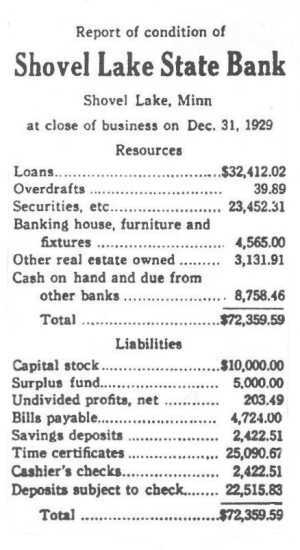 There was a school and a bank for awhile. 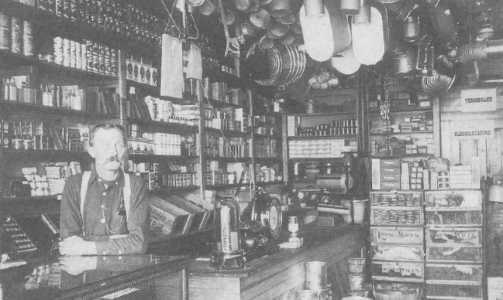 The general store, which also served as the post office, was operated by William (Bill) and Ethel Russell. 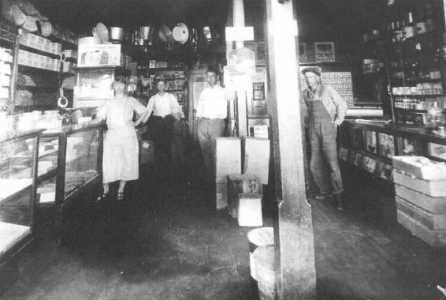 My mother lived with the Russells for a while after she left the farm, and I have memories of visiting them at their general store. I hope to spark interest in the history of the town. I have been doing extensive research into my grandparent's history, Croatia to New Mexico to Minnesota. I feel that time is running out because people who remember places like Shovel Lake are well up in their 80's now. The house in the center is still there today. This was taken by Newlon Harrington in 1912 when he was a pioneer photographer in the area. My Dad, Ignatius Saylor, was from Zanesville, Ohio. When he was twelve years old his family moved to Mason City, Iowa. He lived in Mason City until he was twenty-one. He and his brother Frank Saylor decided to leave Mason City in 1896. They decided to look for homestead property in Aitkin County. Between Mason City Iowa and Hill City Minnesota all the good farmland had been homesteaded before 1900. When they arrived in Northern Minnesota he decided to take out a homestead in the Shovel Lake area. There was no town there at the time. It was just wilderness. The homestead he chose was in the far northwest corner of Aitkin County. Ig's brother, Frank Saylor took out a homestead in Cass County east of Remer. Dad's land was right on the lake that they named Saylor Lake. Ignatius Saylor proved up the homestead in Shovel Lake but he lived in Hill city until 1912. That was the year the Soo Line went through the Shovel Lake Area. While he lived in Hill City he built a house for the family one block down on the left from the Hill Lake Manor where I live. The house is still there. 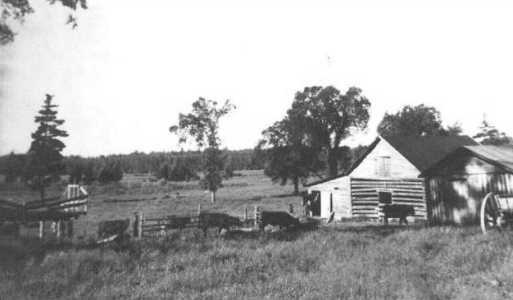 In 1912, the family moved out to the homestead north of Shovel Lake. When Ig Saylor first arrived in Hill City he worked with a surveyor, running township lines. He was running lines for the surveyor north of Hill City near the southern edge of Itasca County. One day they stopped at noon by a little lake and the surveyor said, "We have to put a name on this lake and get it on the map. What shall we name it?" My dad said, "As long as we eat dinner here every day, let's name it Dinner Lake." Somebody added the "Pail" to it afterwards, I don't know who did that. From then on it went by the name, Dinner Pail Lake. Dad stayed with that surveyor for a while and helped him out. Another interesting incident happened north of Shovel Lake where a Catholic priest owned forty acres. The priest wanted the lines run on his land. When the surveyor and my dad ran the lines on it they found most of his land was in the lake. They had to name it, so dad said, "Let's call it Holy Water." That is where it got its name and is still called Holy Water Lake today. My dad was a very good carpenter, very finicky. He was also a really good violinist. He used to play a lot of "them old hornpipes," as they called them: "Fisher's Horn Pipe," "Boomerang's Horn Pipe," and fast tunes like "Devil's Dream." He also played a lot of Waltzes like "Over the Waves." We lived out on the farm when I was a child. We raised mostly potatoes and we ate potatoes all winter. Whatever was left in the spring we fed to the hogs. We were too far from the market to sell the potatoes. In 1917, during the World War I, Dad had every piece of ground he could grow plants on planted in potatoes and that year they made money on potatoes. That was the only time they made any money on potatoes. We had a lot of dairy cattle. We had venison and pork for meat. There is only one time in my life I remember eating beef. Venison was the staple food. Sonny Pierson's daughter said she was twenty-seven years old before she knew there was any other meat besides venison. In 1923, I started school at Shovel Lake School when I was six years old. The first school was just a wood frame building. They built the big brick school in 1925. I went there from first to eighth grade. I remember one year they had a high school teacher in Shovel Lake. She was called Sister Dorothy. She was probably the teacher for the first freshman class held at Shovel Lake High School. The school was in a building that used to be the old liquor store many years before. Most of my time I spent at home on the farm except for school. We hardly ever went to town. I played anti-I-over with my brothers. We played horseshoes a lot. I didn't hunt when I was young. In 1940, I shot my first deer. We wore mostly overalls and my mother made our shirts with her old sewing machine. In the 1920's there were fires all around our homestead and the family decided it was not safe on the farm so we all went in to Shovel Lake. The four youngest children of the family stayed over night at the hotel. The rest of the family returned to the farm and with sprayers kept the buildings wet down. The fire finally burned itself out. After the fire we had a bumper crop of raspberries. That's about all we got out of it. My mother never stopped canning until she had a hundred quarts. It was the same way with blueberries. My mother was very strict. She used to call one of us kids and she'd name everyone in the family. She had eight kids, Glenn, Joe, Floyd, Dorothy, Ray, Faye, Clyde and Ethel. Floyd was the one that was the hardest to handle. He would forget to come home from school. He spent a lot of time in the logging camps instead of doing his homework. The teacher jousted him up good. The teacher could hit you back then. Some of the teachers were actually mean. One of them was Ethel O'Linn. Oh, she was wicked. I talked to Ethel O'Linn after I came out of the army. I met her at the station down at the junction. She said, "You know, that brother Joel, was the meanest kid that I ever taught in my life. Your dad told me not to spare the whip and believe me I didn't." She stopped teaching years before I started school. This picture (showing me his photos) is of dad's next to the youngest brother, Joe Saylor. He was the first mayor of Hill City. This man was the head of the bank. He was Gotfred Nicholson. I don't know where he came from. This is my brother-in-law, George Kelly. He was married to my oldest sister, Dorothy. He was cashier at the bank and the man the Kelly School was named for. This picture was taken in 1923. This was the first store in Shovel Lake. Roscoe Reynolds had this building built and he ran the store for many years. I don't know how many years he had it. Fred Blais (pronounced Blair) came into the country to log in the Shovel Lake area. 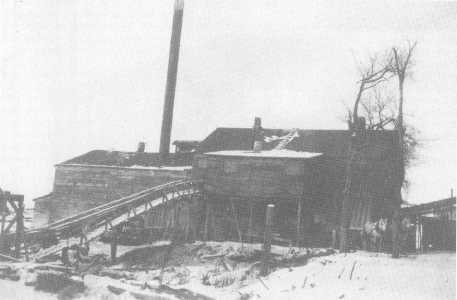 He had the big log mill west of Shovel Lake about half a mile from town on the Willow River. He taught Bill Russell to be the timekeeper for the Blair Logging operation. This fellow is the Soo Line Depot agent, Henry Daskoski, in Shovel Lake. This little fellow standing next to him was Bill Russell's boy. This fellow I haven't identified. 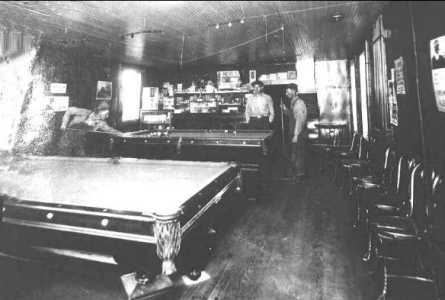 This is the old pool hall in Shovel Lake and I don't know who these people are. These pool tables are the old Brunswick tables probably the best ever made. There are spittoons in the picture as most of the men chewed tobacco back then or smoked cigars. This is my brother Glenn Saylor, in 1917, with a team of oxen and a white horse in the lead hauling potatoes into Shovel Lake. There was a warehouse in town and they had a grader and graded them according to size and shipped them by rail from there. This is a sidetrack on the railroad and that is the main tracks. There was a water tank for the trains. This is our old homestead. That picture must have been taken the summer of 1942, the year I went into the army. This is my dad, Ignatius. This is his brother, Frank who came with him. This is the picture of the town. This would make a nice painting. That was my Uncle Frank Saylor's homesteaded house up on Saylor Lake. Norah Harkins was my dad's mother. There were two brothers, David and Joel. I think this one is Joel. This is the town of Shovel Lake. That is Russell's store. This was taken before Roscoe was there at the time the Soo Line went through Shovel Lake in 1912. It went through Swatara in 1910. This is the caretaker Roger Batdorf and my boys, Albert and Billy. Bill Russell came to Shovel Lake from Cedar Rapids, Iowa. He was a timekeeper for Fred Blais (Blair) and Blais talked him into buying the store and putting in a line of hardware due to the fact that Fred had the lath mill operation and they needed a lot of supplies. Russell started out in 1917 and he ran the store until 1948. The store was right across the street from the hotel. All that is left in Shovel Lake is Bill Russell's Store. Ignatius Saylor stayed on his homestead until I (Clyde) went in the army in 1942. Then my dad had an auction. He sold the place, the horses, the rest of the cattle, retired from farming and moved into the town of Shovel Lake. He and my mother lived there until my dad died in March 1949. The first summer after he retired he worked in the shipyards in the state of Washington. The next year he went to Michigan and worked for Continental Motors. Then he quit working. My mother, Nora A. Carpenter Saylor was from Nebraska. When they retired she went to work in Duluth. She was president of one of the banks and owned a big house on Graceland (?) Boulevard. She stayed there until 1952. She died in her sleep on November 28, 1952. She was sixty-four years old. My dad must have been seventy-five or six. Right now I'm older than he was. I got married in San Diego to a woman from Hill City. Leona M. Valley is my wife's name. Her ancestors came from Canada. They were French Canadians. I went into the service and she went to work in San Diego at Consolidated Aircraft. Before that I worked for Continental Aircraft in San Diego until Pearl Harbor. I came home to Shovel Lake for Christmas and then I went back and enlisted. After I got out of the Army I came back to Hill City. Chet Sailor (no relation) had the bar and pool hall in town. I got out on July 3rd and I went to work for the County. My brother was County Road foreman so I went to work for them that fall and worked until the next spring. Then I went to work in Grand Rapids for a man named Chalburt building houses for a year. Then, my brother-in-law, George Kelly said, "Why don't you go to work on the Iron Range. They are hiring up there." So, I went to Coleraine and went to work at first on the Tri-team on the railroad. Then I jumped around from one job to another. I worked on steam locomotives for a while. Then I worked on drills at Diamond Ford Drilling doing exploration drilling for iron ore. I also worked in the washing plants. The last year I worked in the research laboratory in Coleraine. I had worked there for three or four years. Then they contracted the work out that I had been doing. I went back and worked in the washing plant. When that plant closed down I went to work for U.S. Steel and retired from there after thirty-two and a half years. Stacy, I remember your dad. He was called Jimmy the Greek. He wore high-buttoned shoes back in about 1928. It was when he was living in Hibbing. He happened to come to our farm one day after chore time in the summer. We had just lost our big brood sow. My dad didn't know what to do with her. It was hot and we had no refrigeration. Your dad said, "I take her an' I get rid of her." We gutted her and bled her the best we could. He took the pig to Hibbing and sold it. "SHOVEL LAKE AND PINE TREE SPUR"
When the author first heard of Shovel Lake, the thought crossed his mind, "Where was that town located?" He became intrigued about that area and looked into it in more detail. The Native Americans no doubt had been harvesting rice and utilizing the area for many centuries. Wild game was plentiful and the Willow River provided a good means of transportation. The early loggers also found that the Willow was an excellent river to raft logs on. 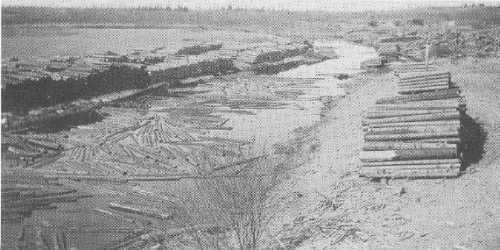 A dam was constructed on the mouth of Shovel Lake and water was held back. The Willow River used to flow in and then out of the lake, and it was backed up into the lake which raised the water level several feet. Logs made their way into the lake and then the dam was opened and the logs sluiced nicely down the Willow. Some of the first settlers worked on the log drives or in the logging camps.. 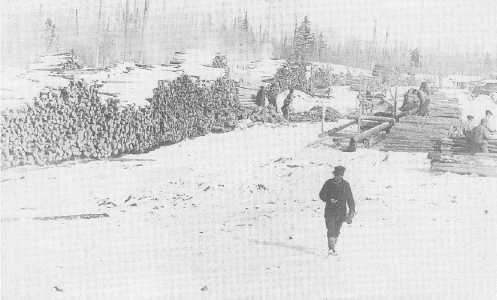 The logging first started in the 1880's, and the log drives continued until about 1911. After that, the drives ended and settlers moved in rapidly. The first settlers in the area were the Ralph McNeil, J. R. Gillson, Bill Russell, Roscoe Reynolds, Fred Blais, Batdorf, Baudy, Shellhardt, and O'Brien families. They started coming about 1903, and soon were carving farms out of the wilderness. Things started to hum when the Soo Line Railroad came to town in 1910. The grade was pushed through town and west to Remer and beyond. 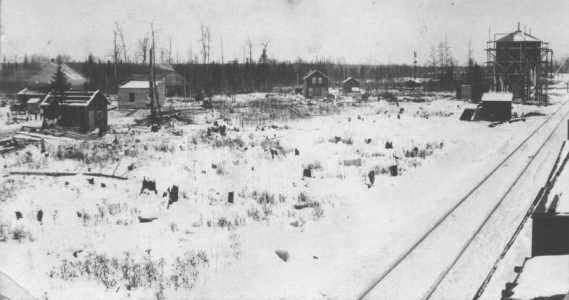 With the coming of the railroad, a station was established at Shovel Lake. A 24' by 28' Section house was built in October of 1910. In December of that year, a water tank was installed along with a windmill and well. 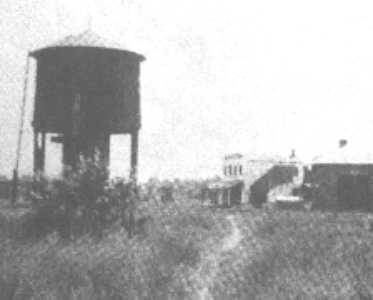 In February of 1911, a pump house was installed. In March of 1911 an 8' by 126' passenger platform was built. 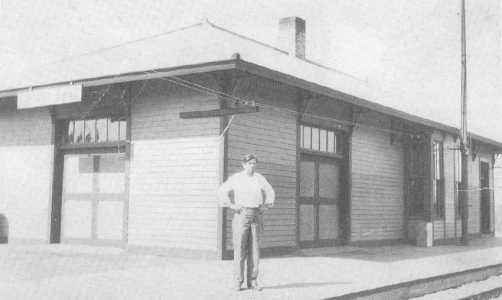 A depot with more platform area was constructed in November of 1912. By December, a train order signal was placed along with an outhouse. A Dago car was put in place in 1916. In November 1919, the stockyard was put in with a shed, feed rack, and well. A new well was drilled in 1924 (in the bottom of the first dug well) for the water tank. Then a mail crane was put in place in 1934. Another loading platform was built in October of 1946. (Soo Line Historical and Technical Society Records.) Mr. Deskaski was one of the depot agents with Matt Simonson as the section foreman. (Per interview with Kit and Evelyn Butterfield on November 2, 1995). Roscoe Reynolds was the first postmaster for Shovel Lake, being appointed on October 27, 1910. 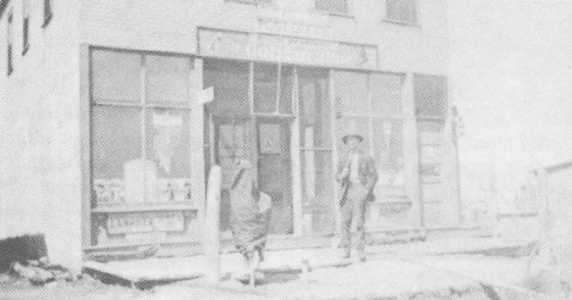 (U. S. Postal Records) Reynolds also built a store in town soon after the railroad came. He ran the store until 1916, when he sold out to Bill Russell. The Russells ran the store until 1958 when they closed it for good. Mr. Sharabonda ran a restaurant and also a pool hall and barber shop. Actually, the businesses exchanged hands a number of times. "The pool hall was closed Wednesday of last week, Paul Kluber, operator, selling out his stock of supplies to W. B. Russell." (Aitkin Republican--June 18, 1925) For a time the pool hall and barber shop were run by George DeRosier. (Per interview with John Russell on January 13, 1996)The Remer Lumber Company ran a lumber yard in town for a few years. ( Remer Record--January, 1926)"....This is operated by Mr. Nicklason, cashier of the bank, who looks after the yard as a sideline, and a good service is performed for the community by this institution." (Hill City News--November 26, 1925) There was a livery business, a potato warehouse, and a bank. A peat factory building was also constructed. Picture was taken on top of the windmill. The circular roof is the top of the water tank. The Soo Line Depot is on the right. Russell & Sherman Stores on left, Rackliff Hotel on right. 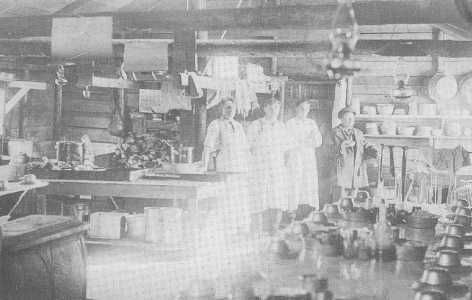 Eugene Rackliff had a logging operation in the area and his wife May did the cooking and ran the hotel in town. The hotel was run like a boarding house, as there was a need for such with all the men working in the area. Gene managed to get a liquor license and ran a saloon for a few years. Not much is known about the shingle mill, the spur or the camps of this area. There are only a few scattered accounts of this territory and for some reason it was not documented in any substantial way. There was a pretty good uphill grade coming from Shovel Lake and so the railroad didn't like to stop there if they had a big load on, as it would be difficult to get going again. This became the crux of a problem for the railroad in 1917, when the Soo Line became involved with a lawsuit with Thomas Leonczak. Leonczak had a farm near Pine Tree Spur. One evening he was riding the train, which was heavily loaded down. The train crew did not want to stop at Pine Tree Spur as they might not be able to get started again with such a load and the steep grade. When they got to Pine Tree Spur Station, they tossed off Leonczak's luggage and physically threw him off the train near the makeshift unloading platform. He went for a tumble and was hurt badly, or so he claimed. Leonczak sued the railroad, and the case went all the way to the state supreme court. Leonczak was awarded $15,000.00 in the lower court case held in Walker, MN. (Minnesota Supreme Court Case #24117, Mn. Hist. Society file # 11.9.G.20.6.F) The upper court upheld the lower counts determination and Leonczak prevailed. However, after his attorney's fees and other costs, he probably didn't realize much for compensation. In 1912, the first school in Shovel Lake was built by Ed Rassier for $1,098.00. (Hill City News--August 15, 1912) It was a one room frame building. This school was sufficient until 1925 when the new brick school was built by Louis Johnson of Aitkin. (Remer Record--July 4, 1925) This was a fine building with two classrooms, an auditorium with a stage, a kitchen and even a fireplace. This building, which was built for about $10,800.00, (A Century of Pioneering Pioneers, page 29) was also used for community gatherings. The school district was known as District Number 116. Hosea Gritten was an early school bus driver and also a janitor for the school. (Per interview with Kit and Evelyn Butterfield on November 2, 1995) There was a school to the south of Shovel Lake that was known as the "North Lemay" or the "Green School." It ran until the new brick school was constructed in Shovel Lake and then the children were transported in. 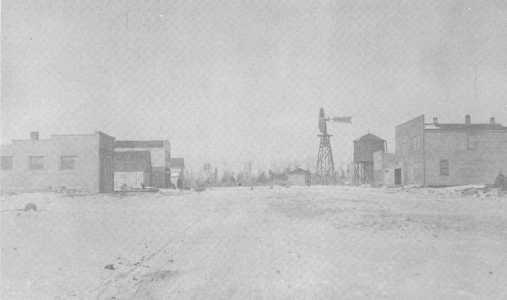 The people felt the need to improve their roads and take care of other local needs, and so Shovel Lake Township was organized on July 17, 1912. A telephone system was set up, and a small central was operated in town. The line was eventually merged with the Remer phone system. The township also established a cemetery. Sam Bailey was the assessor, and Florence Butler was the clerk for the township in 1940, just a few years before the township dissolved. (Per Shovel Lake Township Records, Aitkin Co. Land Dept. )The township remained organized until May 4, 1943. (Aitkin County Recorder's Office) After that, the cemetery was taken care of by the local people in a cooperative effort. Bill and Ethel Russell arrived in town in 1914. "Bill had told her she would be the only 'white' woman in town, and she was nervous about so many young lumberjacks and natives. When the train stopped in Shovel Lake there was Mrs. Rackliff from the hotel and Mrs. Olson and a small group of other towns women standing by the depot to greet her. She had never seen a more welcome sight than those women's faces. Ethel got busy and organized the first Ladies Aid Society and had parties. She soon also had part proprietorship of the Red and White General Mercantile store." (Letter written by Lin Russell dated February 10,1996) The store held the basic needs of flour, sugar, lard and bolts of summer calico and winter heavy wool cloth. Here you could get a steel button or a pair of children's shoes. The U. S. Post Office was also in the store, and one of Bill and Ethel's daily duties was to meet the train with the mail pouch ready. The store was the Sears and Roebuck. It was the gas station and the gathering spot for men with snuff and ladies with new babies. Ethel even hosted Easter Sunday services in their home upstairs and "laid out" several townsfolk who didn't survive illnesses. Ethel was quite a hunter as well. She was known to be quite successful in her outdoor abilities in trapping, hunting and fishing. Herman Nelson in his book, "A Century of Pioneering Pioneers," referred to her as the "Huntress of Shovel Lake." By 1920, quite a few other families had moved to the area. Some of these were the John Fenske, John Butterfield, Thomas Cunningham, Otto Sword, Harvey Barbee, George Merrill, John Wahl, Floyd Depew, Ignatius Saylor, Albert Randle, George Nesbitt, Edward Wilson and Edwin Haskin families. There were many more as well, and families also came and went after only staying a few years. 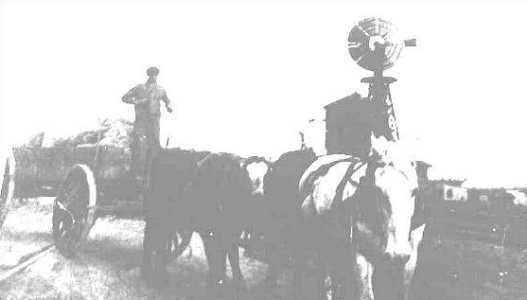 The farmers got together in April of 1920 and formed the Shovel Lake Shipping Association. (Hill City News--April 15, 1920) This cooperative was formed in the hopes that they might get better prices for livestock if they sold them in larger lots. A tragic event occurred at a farm just northwest of Shovel Lake. A man by the name of Roy Brinkman shot and killed his ex-mother-in-law. Brinkman and his wife had separated, and when he came to visit his daughter, he wished to take her home with him. The girl's grandmother objected and that was when Brinkman drew his pistol and shot her dead. "Escaping after the subsequent struggle, his large car stalled on the county road from Shovel Lake to No. 35 coming to Hill City. He proceeded on foot to No. 35, several miles along the highway. Posses organized at Swatara and Hill City to hunt him, and word was telephoned everywhere by Sheriff Morical and Cass County authorities." (Hill City News--January 16, 1930) Brinkman was then picked up by James K. Murray, and he overpowered Murray after they were underway. Brinkman slipped away and Murray went to Hill City to get help. When they went back to the scene, they found Brinkman had attempted suicide by cutting his wrists. They brought him to Hill City where Dr. Corwin stitched the veins and wounds together and applied a tourniquet to the wrist getting the man in shape to be moved to the Itasca Hospital. A typical meeting of the bureau went like this, "To prevent the Shovel Lake Farm Bureau unit from becoming a free-for-all or too exclusive, the iron-clad rule for forbidding all but members to meetings was amended to the effect that guests at members' homes during meeting night were welcome provided members paid for the lunch of guests. This was decided at the unit meeting Friday. As A. R. Rollin, county agent, was unable to be present, T. M. Cunningham, chairman, talked about the dairy relief. O. A. Morrow and Mr. Cunningham were appointed to see Rupert Kenney, past president, about Farm Bureau books and trays. Mrs. F. H. Depew was appointed to report to homemakers. "Difference of ages marked several numbers on the program as Donald Caverly, age nine, gave a recitation, 'I Want To Be A Man,' and J. H. Cosner, age 75, gave a reading. Other numbers included a recitation, 'That Ar' Boy Cunningham's,' Vivian Caverly; reading, Mr. Morrow; and Finnish song, Nonte Jarvi. The depression years were hard on the residents and farmers of Shovel Lake. One by one, the families took their leave of the area in search of a better life. One bright spot for a few years came when Frank Kimball purchased the peat factory from Bud Dale in 1953. The peat was mined from a peat bog to the east of Shovel Lake. The peat was dried and then bagged and shipped for bedding and potting soil. Along with this operation, the Kimballs had a Christmas decorating business. They would go around and decorate towns and sell the various decorations and trees. "Frank Kimball has purchased the Ig Saylor farm which he plans to plant into Christmas trees for use in his decorating business." (Aitkin Age--April 22, 1954) The Kimballs made some improvements to their place of business. 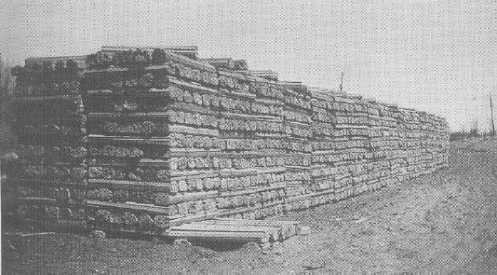 "Mr. and Mrs. Frank Kimball have been remodeling the exterior of their living quarters at the peat plant by covering the side walls with split pine logs." (Aitkin Age October 3, 1953) The Kimball Decorating Company created some badly needed jobs for some in town, and the business did well in 1953. "Kimball's workshops have the appearance of fairyland with the many colored Christmas trees which have been heavily sprayed with dainty pastel colors." (Aitkin Age December 10, 1953) Frank ran the business at Shovel Lake for a few years and then moved it to Hill City. For a while it was located in the old Gem Theater. Bill Russell closed his store in 1958. There simply was not enough business anymore to warrant keeping it open. It was converted into a house after that and is still used as a residence to this day. Shovel Lake has quietly slipped away into the past. Still, there are a number of hardy residents and farmers who live out a peaceful and quiet existence there and are proud to call it home. "The term was used by my father, Sgt. Nicholas A. Horvat, who was a tank commander in the Army (Paton's Armored division under Mark Clark) and was fighting in Italy. They referred to the Italians as Dagos. (It is a derogatory term, but in the context of the times, when they were either welcomed as defenders or shot at by partisans as invaders, it is not unusual to see it used by those in the armed services of this country.) It is what he titled the picture with that I show and he was himself part Italian and Croatian. He was raised with Italians and would never use the term Wap which is very derogatory but the Italians he knew often referred to themselves with the term Dago! The train he refers to was the one they confiscated from Mussolini's Army to move the Tanks North to the Po Valley. My father fought at all the major battles in North Africa, Sicily, and Italy and had 2 tanks shot out from under him but brought all his crews (5 tanks in his command) back alive! He was very street smart and shrewd. I used his term as it is his story! Thank you for your interest. I hope I have answered your question. Yours Truly, Mrs. Eldonna F. Bryant"
Click HERE to visit Eldonna's site. 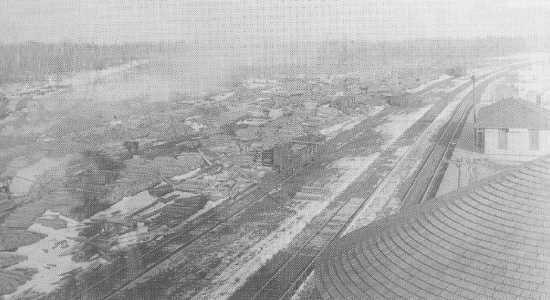 "Shortly after the main line was put through, the Soo Line constructed facilities at Bain. In honor of the prominent local farmer, the railroad stop was named after William Bain. In October of 1910, a 24 by 28 foot section house was built with a shallow well of 18 feet. A 9 by 10 foot handcar house was also put in. In 1911, an 8 by 36 foot passenger platform was constructed. A "Dago House" was placed at Bain in 1912. The Soo records don't explain what a "Dago House" was, but they state it was a boxcar. They may have been referring to a place for Italian track gangs to board in while working that section of track. A two-stall outhouse was put in place in November of 1912. In December, a train order signal was put in place. That same month, a 24 by 56 foot depot was built." Located in the northwest corner of Aitkin County, Shovel Lake might have felt more closely allied with Cass County than it did its own. Closer to Remer or Grand Rapids, Aitkin was a major journey, which took four days during the summer or three days in the winter. But, there is no denying the impact that the Shovel Lake area played in Aitkin County's development. It was first established near the Big Willow River as an Indian encampment when they harvested wild rice in the river and nearby lakes. The turn-of-the-century lumber barons discovered the area's huge stands of Norway and white pine and the oak and cedar hardwood forests. 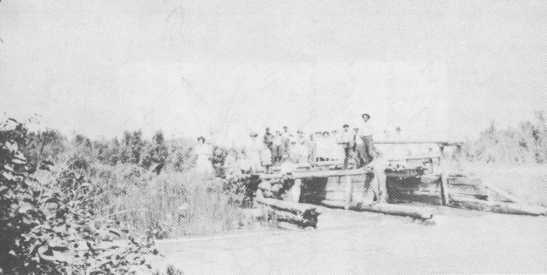 The Big Willow flowed to the Mississippi River and provided a ready waterway to move the logs to the mills and market. 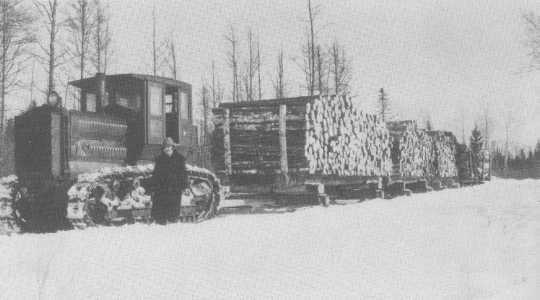 When the Soo Line Railway forged its way through Shovel Lake, it was brought employment and many men worked building rail beds, as teamsters, or at cutting and delivering railroad ties at 35 cents each. The ties, mostly cedar, were hewn on two sides with a broad axe. 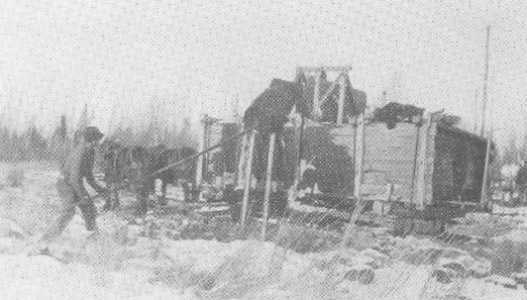 The companies operated four private rail spurs coming into the shipping yard from the lumber camps. 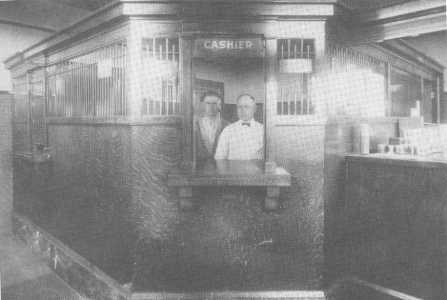 A sawmill was soon in operation, two stores and a school were built, the post office opened, and in 1916, the bank was capitalized with $10,000. The first liquor license in the county was issued to the owners of the hotel. 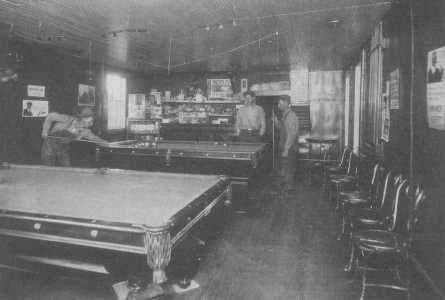 Their saloon was popular with the railroad workers and lumberjacks until Federal agents decided that Shovel Lake was in Indian territory, and the license was rescinded. In time, the forests were exhausted. Having taken only the prime saw logs, the lumber companies left, leaving a legacy of trees littering the forest floor that hadn't met their standards. The school closed in 1927 and the bank fell victim to the times and it merged with the Swatara bank. Little remains of Shovel Lake today, but there are still families there whose roots go back to the early 1900's and who are proud of the little town that they built in the heart of the great forest.